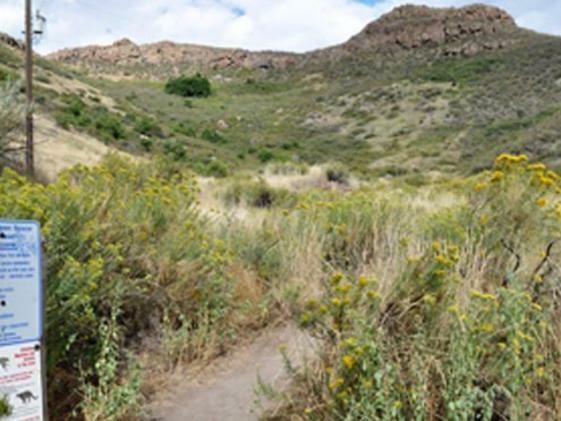 Lubahn Trail, a 2.5-mile trail loop, is in the gulley below and south of Castle Rock on South Table Mountain. The trail climbs about 400 feet to the base of the cliffs. 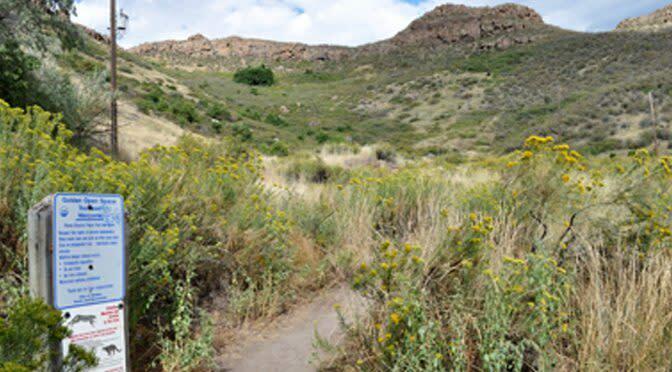 The trail has been extended to create a loop hike of moderate difficulty and is an excellent one-hour excursion. The Castle Rock is private property, do not trespass. The Front Range of Colorado touches three distinct ecosystems – grassland prairie, pinyon-ponderosa woodlands, and montane – that support a rich variety of mammals, birds, amphibians, and reptiles. Rabbit, hare, prairie dog, fox, coyote, badger, bobcat, mule deer, elk, black bear and mountain lion all call the Front Range their home. Keep bikes under control and at a safe speed. Dogs should be leashed at all times and waste picked up. Be respectful of residential neighborhoods and mind noise levels, especially after dark. Clean up any trash and recyclables and place in designated bins. Do not harass wildlife. Keep out of native and sensitive areas, stick to designated trails. Alcoholic beverages are prohibited per city ordinance. This trail is maintained by the City of Golden. We appreciate resident and visitor communication and feedback to ensure the Golden parks system remains safe and clean. To report maintenance concerns or damages, contact the Parks Department at (303) 384-8140.